When we think of communicating, we often think about talking to each other but even when we talk with others, we use other means of communicating. We know that students with ASD have difficulties with communication. Some students with ASD are able to talk very fluently but still have difficulties with other nonverbal behaviors. Others may not speak, but can still communicate effectively. It is important that all students can communicate effectively. Because of this, it is likely that students will need to use a multi-modal approach to communication. This means that students will likely need to use more than one mode of communication to be an effective communicator. People without ASD are primarily verbal speakers but we still use nonverbal behaviors such as facial expressions and gestures. Students with ASD may do this too or may need to use a picture exchange system along with some sign language. Or, a student may use an assistive technology device but still uses some picture exchange. There are multiple modalities in which a student might communicate and as we plan for communication in students with ASD, we need to remember that it is unlikely one system will meet all the needs of a student. For example, if a student has an assistive technology device, what happens when the batteries die? Or, if they use picture exchange, what happens if they don't have a picture for what they want to say? If sign language is their primary mode of communication, what happens if they want to communicate with someone who doesn't know sign? These are all questions that need to be considered and warrant a discussion about in addition to their primary mode of communication, what kind of backup system will the student use? As the educational team considers the appropriate mode of communication for a student with ASD, it is important to include parents and family members as well as the student whenever possible. Additionally, you will want to ensure that the communication system is effective and efficient for the student to use. It is not unusual for students with ASD to use multiple modalities to communicate. 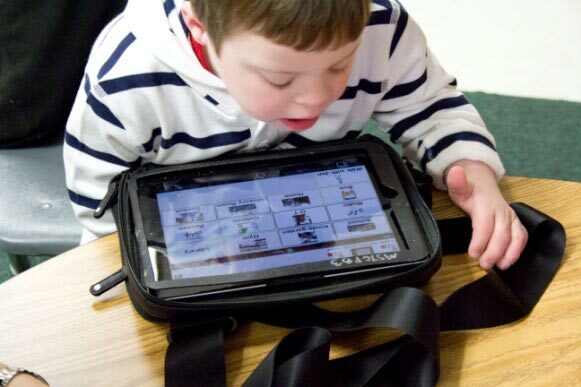 Thus, it is important for the team to be familiar with assistive technology or Augmentative and Alternative Communication (AAC).